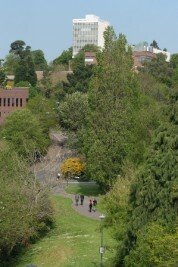 The University of Exeter project, Integration of understanding of offerings for engagement between higher education institutions and industry, formed part of a wider project led by the Marchmont Observatory, Progressing from labour market intelligence to HE level provision that is well supported by employers. The project worked with industry and within the University to develop and trial tools in support of employer engagement which will contribute to formalising the communication channels and processes used between universities and industry. This will facilitate better, more effective and efficient development of relationships between the two. Facilitate communication within and between disciplines at the University by encouraging links and partnerships between individuals engaging with industry. Produce an employer-facing brochure, detailing opportunities for engagement with a focus on clarity of expectations, requirements and timescales for both organisations. Inform the development of a successful CRM system to aid communication between the University and industry – this has been achieved to some extent through the development of a formal strategy for obtaining, maintaining and using relevant contact details. Produce a set of case studies on issues that arose during the interviews with staff, highlighting important issues and potential solutions raised by the interviewees. A reflective evaluative case study of the sub-project. Establish a network of staff members engaging with industry who are able to support staff members seeking to start industry engagement. Produce the brochure in a variety of formats: online, on paper and in a format that can be distributed at networking events and will be attractive to industrial representatives. Develop a CRM system that is widely used within the College (and perhaps externally in the University, dependent on need) and provides a useful point of reference for all those engaging or looking to engage with industry.